The Data.csv file contains the raw survey responses (location information collected by Qualtrics has been removed). Information about the variables and value labels can be found in the DataDictionary.txt file. The data can be read into the Analysis_Code.R file to perform analysis described in the paper and to create a static version of the Movements.html graph. Survey.pdf contains the survey questions with relevant skip and display logic. Patterson, Gilbert R; Hofelich Mohr, Alicia; Snider, Tim; Lindsay, Thomas A; Davies, Peter; Goldsmith, Tim; Sampedro, Fernando. (2016). Risk prioritization of pork supply movements during an FMD outbreak in the US - Data and Materials. Retrieved from the Data Repository for the University of Minnesota, http://doi.org/10.13020/D6NC7R. Patterson, G., Mohr, A., Snider, T., Lindsay, T., Davies, P., Goldsmith, T., & Sampedro, F. (2016). 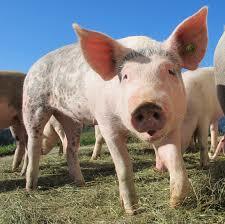 Prioritization of Managed Pork Supply Movements during a FMD Outbreak in the US. Frontiers In Veterinary Science, 3. (dataset) Patterson, Gilbert R; Hofelich Mohr, Alicia; Snider, Tim; Lindsay, Thomas A; Davies, Peter; Goldsmith, Tim; Sampedro, Fernando. (2016). Risk prioritization of pork supply movements during an FMD outbreak in the US - Data and Materials. Retrieved from the Data Repository for the University of Minnesota, http://doi.org/10.13020/D6NC7R.